COOK COUNTY, Ill. (WLS) -- An inmate at Cook County Jail has been charged with aggravated battery after surveillance video shows him punching a correctional staff member, according to the Cook County Sheriff. The inmate was also found with contraband in his cell. 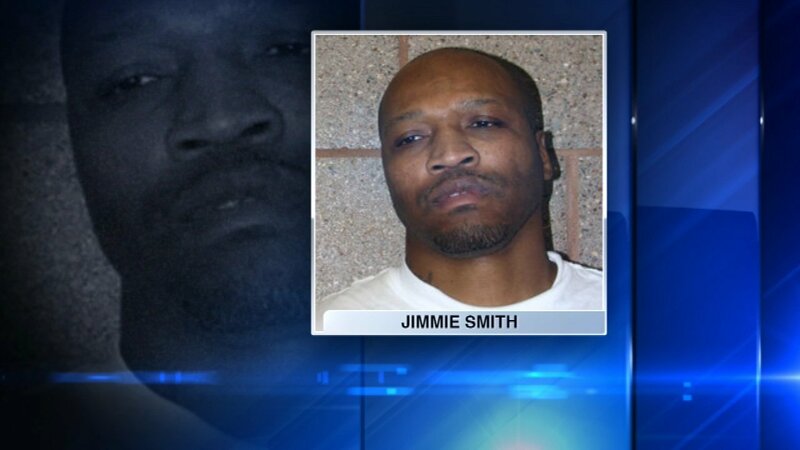 Jimmie Smith, 41, was seen on video punching the female correctional lieutenant in the face in Division 9 of the jail on December 5. Officials said the attack happened as correctional offers were trying to remove a contraband laptop that Smith had. An investigation showed that Smith had previously been given access to a laptop in order to prepare for his defense, since he was representing himself in an upcoming trial. The Cook County sheriff said an investigation is going into how he was able to keep the laptop. According to officials, the laptop had multiple "talk show-style" videos on it. In the videos, Smith is seen hosting a show that he called, "My Back's Against the Wall." The laptop also had lewd photos of Smith, the sheriff said. Police said arrest warrants are being sought for two women they believe assisted Smith. Smith pleaded guilty to attempted murder, kidnapping and aggravated criminal sexual assault and two counts of contraband in a penal institution. He has been in the Cook County jail for more than seven years on sentencing and additional charges, according to the Cook County Sherriff. Smith is currently being held without bond. In 2015, Smith was charged with solicitation of murder after he met with an undercover officer and expressed interest in killing the prosecutor and judge in his current case, officials said. Smith is expected in court on December 21.